We all know there are seven days in a week. I use two of those days to post full outfits on this here blog. I wish I had the time and energy to post an #ootd or #wiw five times per week. Maybe one day when I get more organized and actually schedule posts, it could possibly happen, but I am not holding my breath. If you follow me on Instagram (@shannasaidso) you will see that every now and again I will post an outfit of the day, which never seem to make it to the blog. Why? I don't know. So, I am toying with the idea of taking one Instagram #ootd pic each week, recreating the look I wore and designing a style board for you to shop off of, that is of course if ya like what ya see. I posted this outfit a couple of weeks ago and a few people seemed to have "liked" it. Even my fashion buddy, Annie, put her own twist on it. So, what do you think? More of these? Be honest. I want to continue to write posts that I enjoy, but also want you ladies to find them beneficial and fun too. I like win-win scenarios. In completely other news, there is a fun little game going on in blog land called "Five Things - Tag Your It"....or something like that. Anyway, my lady friend, Erin, so kindly tagged me. Now I get to chat about some this and thats, things that you may not already know about me or that I haven't talked about on the blog. These kinds of "games" always seem to stump me. Like I wanna be funny, or interesting or dazzling, but at the end of the day, I am a pretty simple gal. So sorry in advance if I bore you. used to doodle his name all over my book covers. "Shanna loves Ross"..."Ross is hot"..."I love Ross"..."Ross is fine". You know you did it too. And here we are, married for almost 13 years. Do you see a pattern here? Evidently we like to make kissy faces when we pose. The apple doesn't fall far. You should see all the ones I have of us on my phone. Puckers pop up every other picture. I have been told on numerous occasions that I look like Sarah Michelle Gellar. I'll take what I can get. What do you think? Sometimes I see it. Sometimes I don't. Wigs make everything more fun. It's quite embarrassing how many I own. Need to borrow one? I just might be your girl. but deelish glass (or three) of Apothic Red wine. And there you go sister kitties...five things you may or may not have known about little 'ol me! Now I tag Yi-Chia, Andrea, Dusty, Holly and Katie. Man, I haven't spouted out that line in awhile. Sometimes I really do miss Christian Grey. Yep more I love it!! I wore that same Old Navy top today. You do look like SMG! I never realized it until the side by side! And you and your fam is the cutest! Sorry I have been so MIA! And girl, I have a whole portable closet full of wigs in my garage. Love em! stop it right now with that adorable outfit! I love love it! This new type of outfit post is great... would love to see more of them! I love the fur scarf and oversized suglasses on your little fashionistas. That is so sweet that you've known your husband since junior high! Yes please to that new feature! I have heard that a series called Crossfire is similar to the 50 Shades series! I'm hunting for book one now! i just need that scarf and I could copy this outfit! :) i got quite excited when you tagged me - I want to do a post! and I kind of see the sara michelle gellar look alike! haha you are the cutest. always adore your outfits and getting to know you better! I like the idea of the Instagram outfit!!! They're always so fab! New follower here! Glad to have found you via "A Southern Transplant"! I just wanted to say hey! I definitely see the Sarah Michelle Gellar resemblence! I'm always down for your fashion advice, so the boards seem fabulous! I can totally see Sarah Michelle Gellar! You are both beautiful!! I like the where you can buy it posts. Love your five. 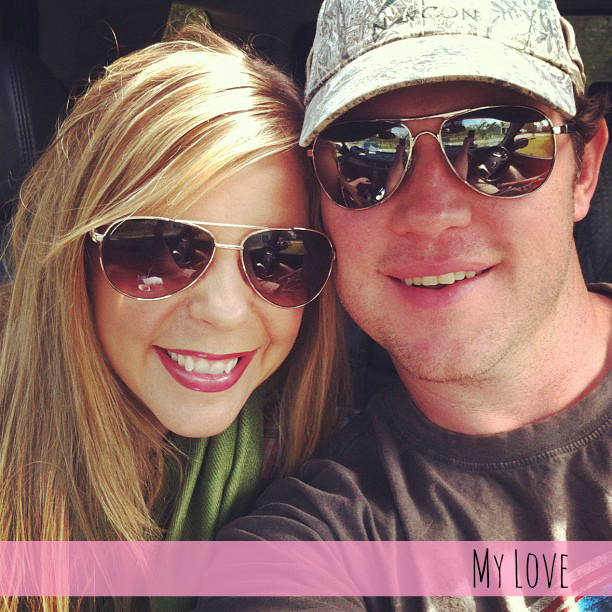 I've known my husband since 7th grade too, but love didn't bloom for us until after college. We've been together 10 years now, married for over two. You are too cute! And I miss I could wear yellow but it is just not my color. 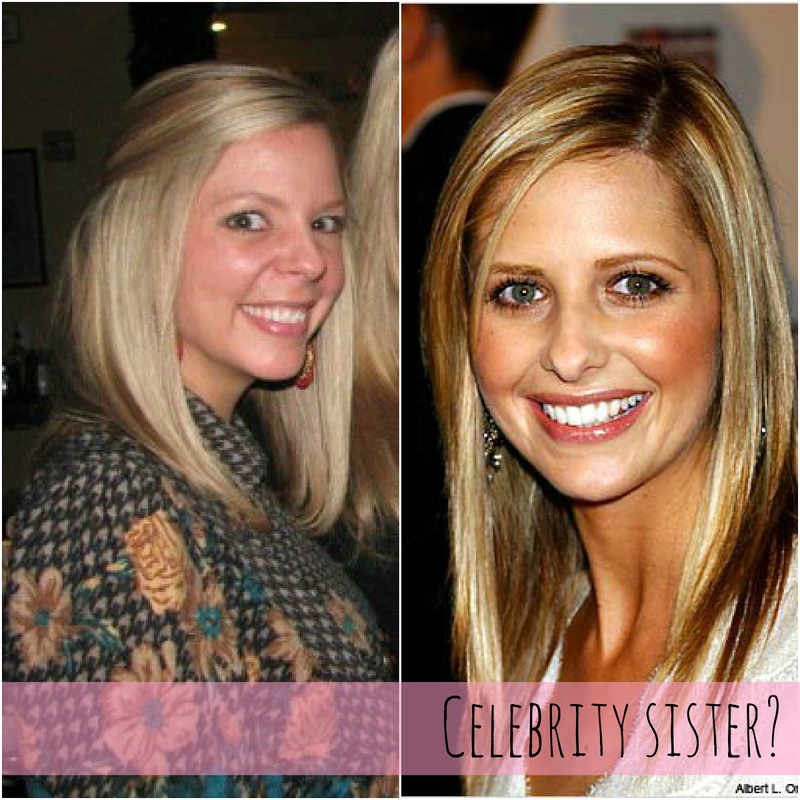 You DO look like Sarah Michelle Gellar! I think that's a pretty awesome thing - you're both gorgeous! I love the idea of your #ootd posts! Go for it girlie! And Christian Grey... who doesn't miss him from time to time?! Have a good one, doll! Only the red wine for you? No white? :) I'm a chardonnay kind of girl. 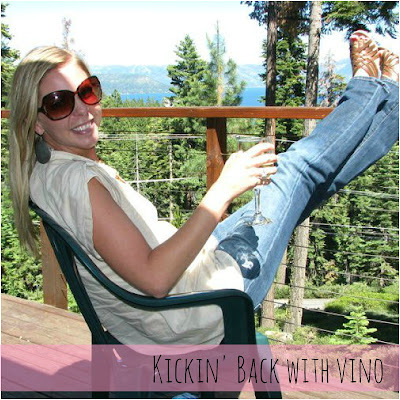 My kicking back time is in front of the tv with my wine. This mama needs to unwind after a long day! LOVE the outfit and board. I think it is a good idea. I've done one here and there and I think it is a good post idea. And you do look like Sarah Michelle Gellar! Great minds think alike. I am wearing this top with a golden pencil today! Love it lady! p.s. thats my fav red wine too! And add another lady to this list who will be copying that outfit. Look for it next week...haha. The photos have already been taken. Love this outfit and idea of making a "shopping" board from them! Love learning even more about you too!! Thanks for the tag my friend! I will be posting my responses tomorrow!! Love ya friend! Yes, plz! More of OOTD and where to get it. I love this and am ordering the pants right now. I found you through another blog and sooo happy I did. You're adorable as are your girls and husband! I do see a little resemblance to SMG! I miss Christian Grey too...can they just make the darn movie already?? Such a cute idea!!! Please do it! My wallet may not like it but I do!! Absolutely love this outfit! Mustard pants are my must find for summer. And talk to me about Apothic Red. I've been told to try it. Is it dry? Sweet? Flavored? I'm picky with reds. The outfit it great! I wish I could pull of yellow but I feel like it makes me look too pale. It only works when I'm tanned! I love the Like Mother Like Daughter photos! Love your outfit and i adore Sarah Michelle Gellar. Your 5 things are so fun...I totally see the Sarah Michelle Gellar thing and..um...is that the view from your house in #5?? Major envy going on! Yes, you should do more of these posts. How sweet that you married your junior high crush! This is a great idea (and a very cute outfit)! Shanna, I love the idea of instagramming an outfit! Like you, it is so so so hard for me to schedule posts more than a couple times a week - I really don't know how people do it. And I can't believe your crush on Ross goes back to the 7th grade - so great! I love this idea and your outfit! And I totally miss me some Christian G. as well haha! Yes please, I love this ootd board idea!!! And I heart those wig pictures, hysterical! Haha...I just did a Five Things post today where I mentioned that I met my husband in 7th grade! And I see the SMG resemblance! I love wigs too! I always pick my halloween costume based on what kind of wig I could wear! 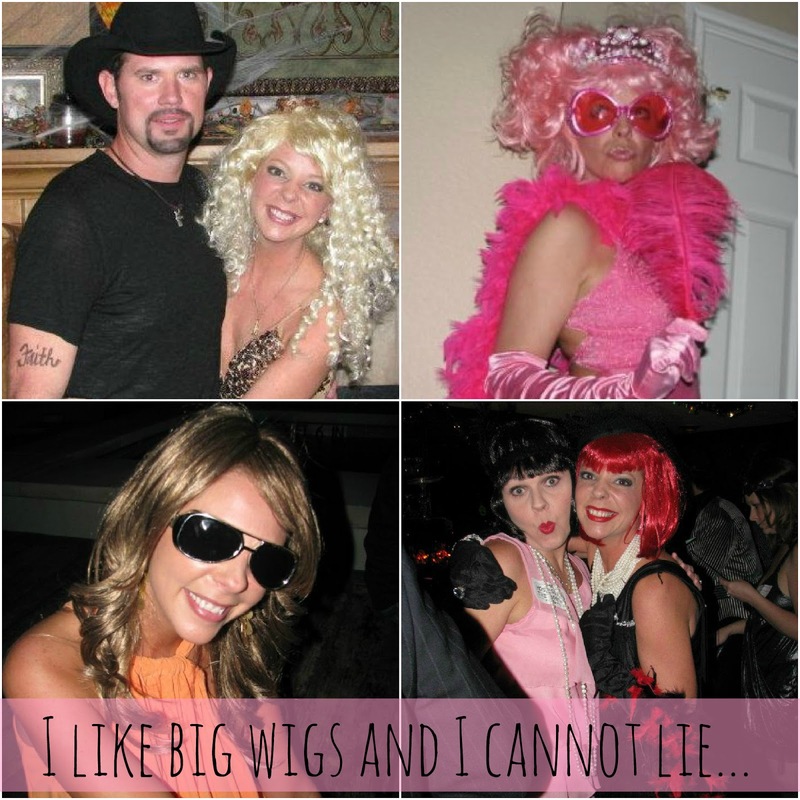 The past few years I have been Honey Boo Boo, Katy Perry, Snooki, and Kate Gosselin...all wigs I can't really use for any other costume but all fun! I am still unclear how to properly style the bootie. Are they only good with skinnies or can we do boyfriend jeans too? Can you do an Ask Shanna post? Thanks! I always joke about how much money and time I'd save if I just bought a wig! Yup, you totally look like SMG just like I look like CRJ. Damn, we are basically celebrities! You should totally start something completely new..WOTD = Wig of the Day Haha! love it! SO presh that you've been crushin' on your Ross since 7th grade. That is adorable. Oh and I love me some wigs too. I probably don't own as many as you, but I enjoy playing dress up. Is Ross supposed to look like Tim McGraw in that picture? Because he does! LOVE that outfit!!! and i love this post idea. so fun and different. also you DO totally look like sarah michelle gellar. i never noticed it before you but you are right on. When I was a teenager, I was called Buffy ALL. THE. TIME. Then in college? Avril Lavigne. So weird, haha! I actually purchased that shirt, but in orange. Any suggestions on how to wear it? 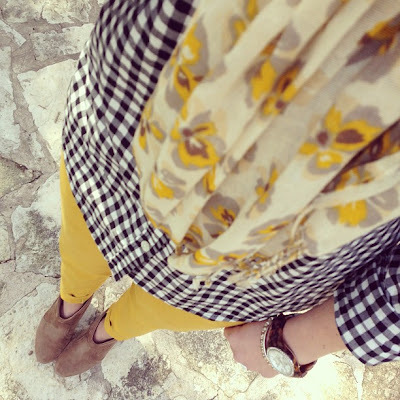 I absolutely love that outfit - the yellow jeans are so happy and sunny, and work so well with the gingham! Love it! I just found your blog and am in love! So glad I did and I cannot wait to read more :). Your facts are so fun. Your girls are too cute. I LOVE kicking back with a glass of cheap wine. YUM!